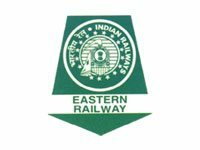 Eastern Railway Jobs Recruitment Notification 2018.Eastern Railway inviting applications for the positions of House Staff.Interested and Eligible candidates can apply for the positions. Application to be submitted to the Medical Director, B.R.Singh Hospital, Sealdah, Kolkata-700014, along with Bio-data , attested copies of Mark-sheets of MBBS, Attempt Certificates, Internship Completion Certificate and provisional/permanent Registration Certificate recognized by MCI 'No Objection' from the parent hospital/Institution(if already engaged) & two copies of recent passport size photograph , Doctors who have not completed Internship, need not apply.Walk in Interview for selection of House Staffs have been fixed at B.R.Singh Hospital, Sealdah, Kolkata-14 on 10.07.2018 at 2P.M. (Reporting time 12P.M. ).